At the outset, let me say that I am a fan of Smooth Ambler. 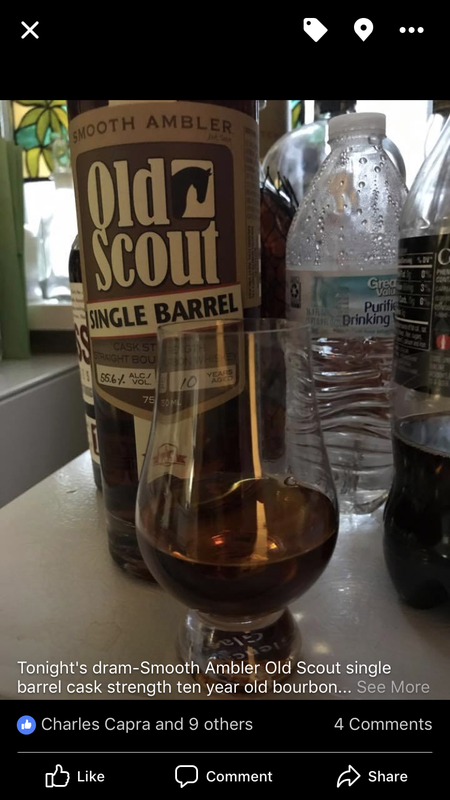 The Single Barrel Old Scout is a truly great whiskey I reviewed on Facebook. So, my father picked up a bottle of Contradiction for me in New Orleans. I was eager to try it. I am a big fan of wheated Bourbons like Weller and Pappy. 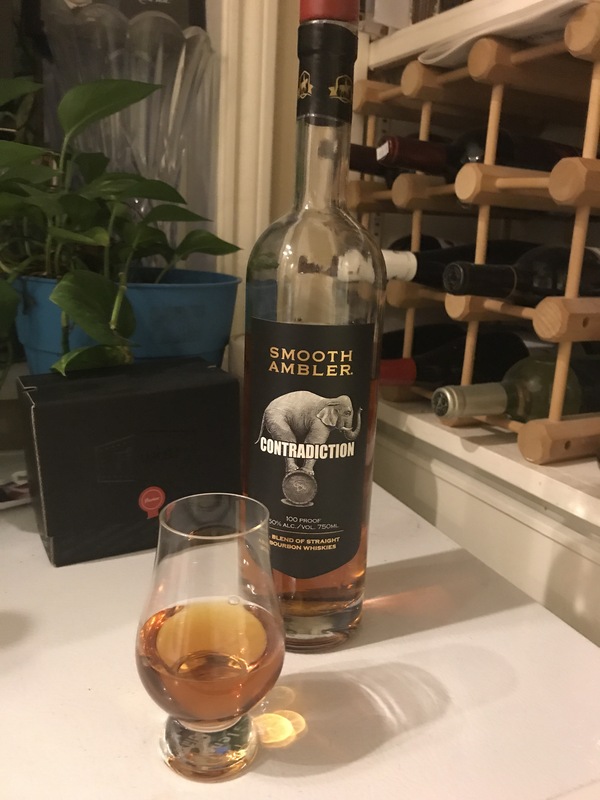 I have a bottle of Smooth Ambler Yearling I haven’t opened yet. 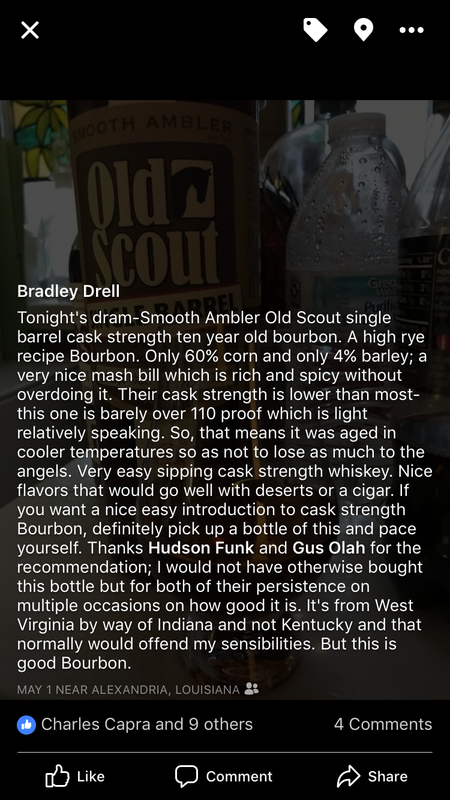 Based on the ages, smooth Ambler blended Old Scout and Yearling together for Contradiction. Color is a nice medium copper. Nose is kinda strange; you have a rye spiciness but also a sweetness that reminds of granola bars. Flavor matches the nose; oats and honey granola bars followed by rye spice on the tongue with a very odd finish. Rather than harmonizing or layering the various of the two whiskies they almost seem to fight each other on the finish. It’s a really intriguing whiskey. It just doesn’t work for me.